MILLION DOLLAR VIEW! Pacific Ocean view & Siuslaw River front. Contemporary custom built 2015. 3 BR, 2 BA, open floor plan. 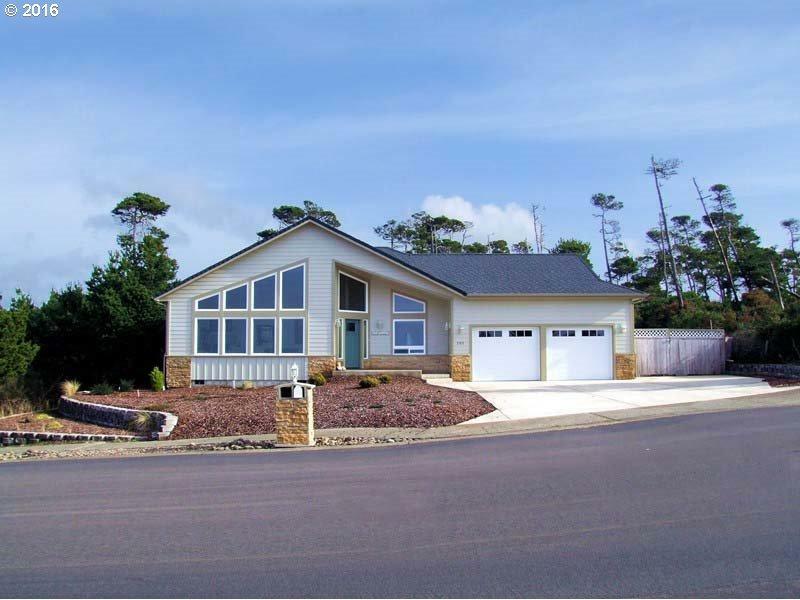 Vaulted ceilings, propane fireplace, hardwood flooring, custom Portugal granite throughout. Honey maple cabinetry. Master suite with privacy deck. Trex deck & raised garden area. Extra fenced area for parking. Located across from Shelter Cove's common area. Property includes extra view lot for a total of .76 acre.